So, what do butterflies have to do with dinner? So glad you asked. As they come and pollinate my flowers, I'd like to think we have a bit of a mutualistic relationship going on. I garden for them, they come for me and my herbs and vegetables. As most of the summer plants will soon begin to die, and since plants are always on my brain, I start thinking hard this time of year about about useful multi-purpose perennials, which can be well established before next year and which can spring up for the earliest spring color. 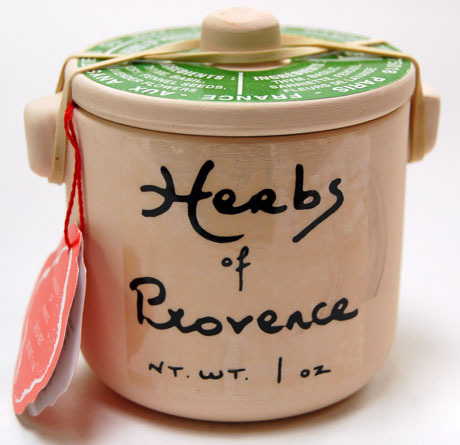 Herbs are a great money saver and many are great butterfly host and nectar plants. Fennel, in particular will attract many of the majestic different swallowtail species. It's not too late to establish some of these from plants or too early to start their seeds in the refrigerator or prepared ground for cold stratification. 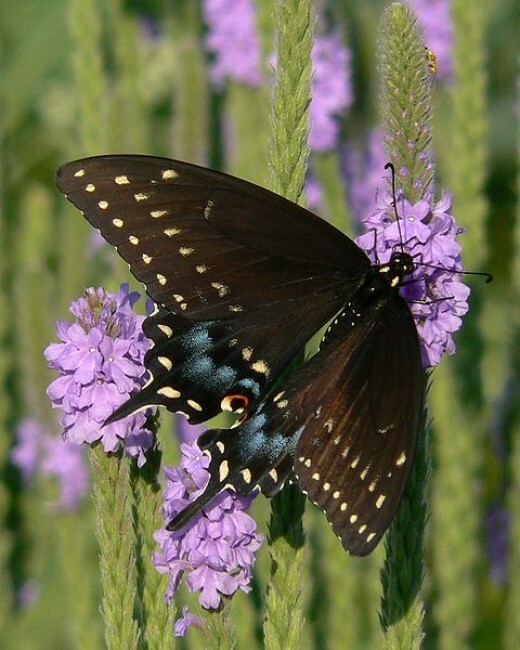 Male black swallowtail butterfly. State butterfly of Oklahoma. From Wikimedia commons. 2) Fennel (Foeniculum vulgare The herb is a perennial, the vegetable is an annual). 9) Kitchen sage (Salvia officinalis)- This is the more common plant used for cooking, but not actually a sage. These first six are often some of the typical ingredients in culinary delightful Herbs de Provence blends, (which may also include basil or others). Image (C) Lydia Walshin. From this post at theperfectpantry.com Used in accordance with her policies. Dice these as finely as possible and mix well. Put in an ice cube tray with just enough olive oil to cover nearly to the top for easy portions. Chives will be great in so many things and provide some of the first early spring color. And Russian sage will linger next year as a fall color. Since you're already setting out perennials, why don't you add some perennial monarch host plants in in your fall or early spring butterfly garden? While they have some medicinal properties, most are not fully edible. 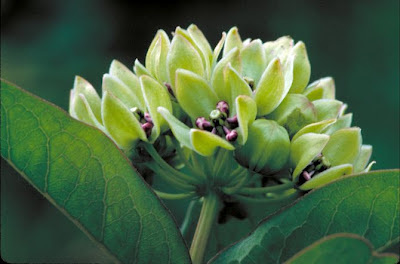 Green Milkweed. Photo by Dr. Thomas G. Barnes, U.S. Fish and Wildlife Service, in public domain. Here are some close to native to this area that should last for several years: Poke milkweed (Asclepias exaltata), Tall green milkweed (Asclepias hirtella), Swamp milkweed and "Ice Ballet" Swamp milkweed (Asclepias incarnata),Common milkweed (Asclepias syriaca), Butterfly weed "Hello yellow"(Asclepias tuberosa), Whorled milkweed ( Asclepias verticillata), and Spider milkweed (Asclepias viridis). Seeds for some of these plants can be purchased online at Butterfly encounters. You might also inquire about plants at Sunshine nurseries.